When I am asked to preside over a wedding, I take full advantage of the opportunity to share the beauty of God’s love. During pre-marital counseling I encourage couples to find a bible verse that relates to their relationship, we discuss what it looks like to pray for our spouse, and we use God’s love as a lens by which we view the love we have for our partner. During the actual wedding ceremony I am unashamedly open about God’s love being at the center of this relationship, and that only with God’s power can all couples live in harmony and peace with one another. Following the ceremony I was mingling among the wedding guests when a young woman approached me and said, “I wish my pastor was like you.” Startled by the compliment, I asked her to explain and she described how her pastor “never connects the scripture with regular life” and that she leaves church feeling like she “listened to a lecture.” Our conversation continued for a few minutes, and before we went our separate ways she asked where I was a pastor and told me that she would be joining the church for worship sometime soon. As I stood there taking in the complimentary conversation, feeling affirmed in my words, and hopeful about a new person coming to church, I was struck with the sensation that I had lost my focus. I let myself get puffed up by her kinds words and I recognized that I selfishly wanted her and her family to start attending the church I serve. I like the idea that she wanted to come to the church because of me. It only took a few words to stroke my ego to such a degree that I forgot my place in the kingdom. 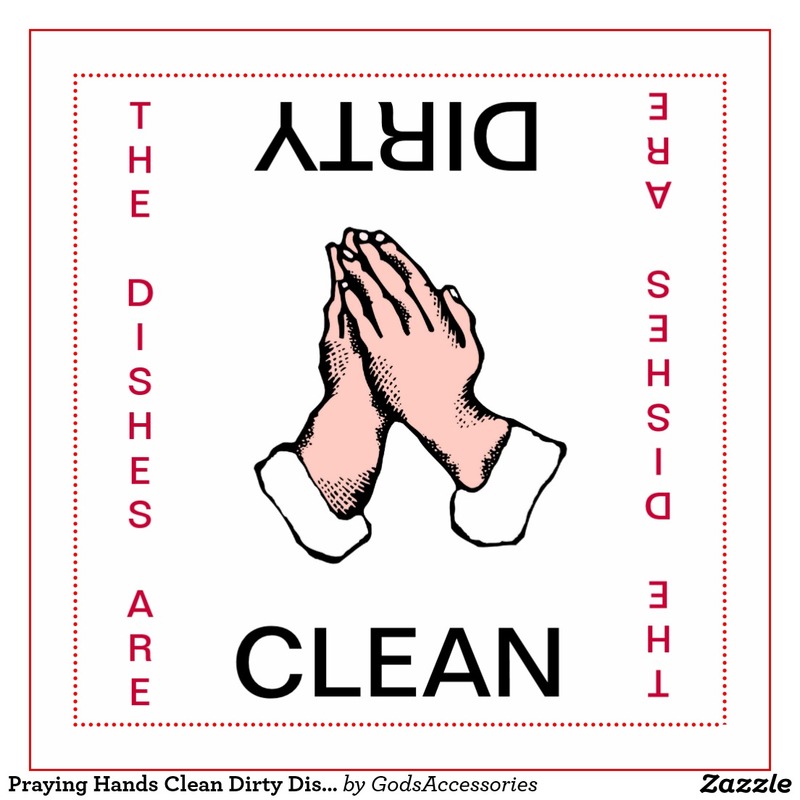 The psalmist calls for God to “blot out my transgressions.” In our daily prayers we thank God for our blessings, and we ask God to intervene in our lives and in the lives of others, but rarely do we pray for God to make us clean, to rid us of our selfishness and false pride. This week, let us take time to be honest about our sinfulness, pray for God to transform us, and begin taking steps into a new way of life. Pre-marital counseling is the best. It is one of the few places where I am actually allowed to ask the questions I have racing in my head: What was your last fight about? How do you feel about your soon-to-be in-laws? Why do you deserve to marry each other? Similarly, it is one of the few places I feel comfortable being completely candid about the church’s role in marriage and how the covenant is not just between the couple, but it also incorporates the gathered body and the Lord. At some point during the pre-marital counseling, I challenge each couple to go back to scripture and pick a passage that reflects their relationship for the wedding ceremony. My one caveat is that (unless they can demonstrate how necessarily important it is to them) they are not allowed to pick the part in 1st Corinthians about love being patient and kind, nor are they allowed to pick the part from Ephesians about wives being subject to their husbands. So it is with those few directions that couple have been forced to go back to their bibles and find something indicative of their relationship. 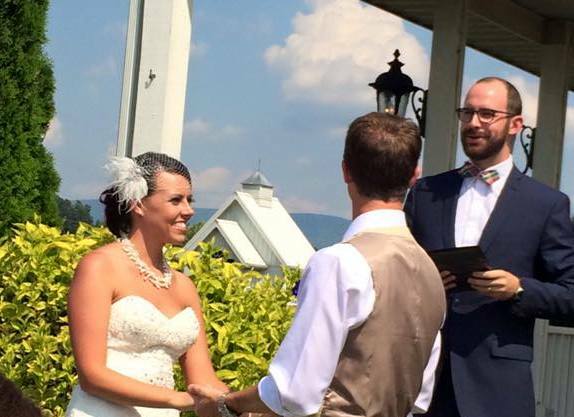 A few months ago I had the privilege of bringing together Chris and Chelsea Frumkin into the joy of marriage. I challenged them to pick their scripture and they quickly replied with Ephesians 3.16: “I pray that, according to the riches of his glory, he may grant that you may be strengthened in your inner being with power through his Spirit.” This verse had a particularly special meaning to the couple, because Chris has Ephesians 3.16 etched into the inside of Chelsea’s engagement ring. 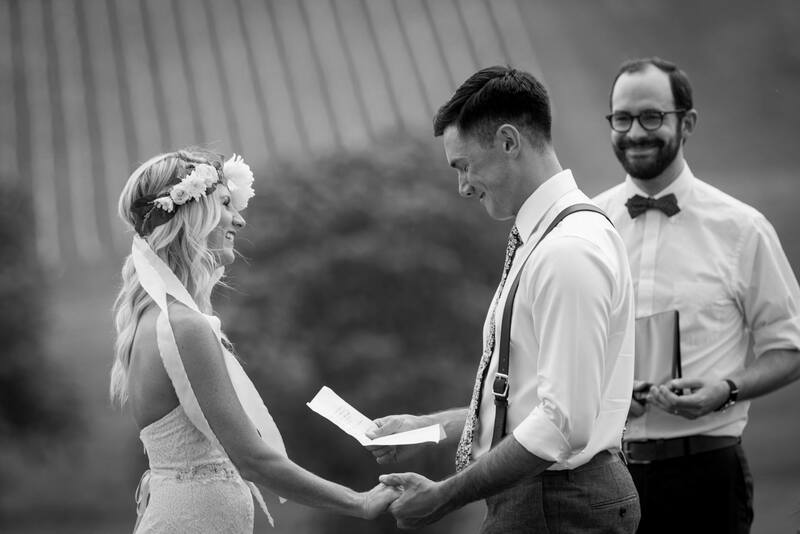 What a dynamic and perfect scripture for a wedding ceremony! When we stood together before their family, friends, and the Lord I made mention of the fact that their relationship had led to such a beautiful wedding precisely because they had prayed for one another. As a couple they were not content with the status quo. Instead, they consistently went to the Lord to discover renewed strength in their relationship. The longer I spend time in ministry, the more I realize that scripture no longer holds the great value that it once did. Instead of a people defined by the Word of the Lord, many of us are content with knowing a handful of verses that make us smile, or would be worthy of a print that we could hang on our wall or Facebook page. As we prepare to take steps into a new week, let us reflect on the great gift that scripture is for us: What stories from the bible have shaped who we are? 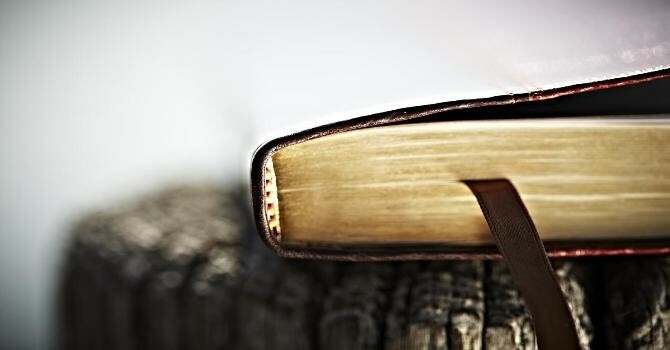 Is reading the bible a priority in our lives, or a last resort? If we had to pick a verse that defined our character, what would it be and why? When I was appointed to serve St. John’s UMC two years ago I asked a number of people about the goals of the church: What do we want to look like in five years? What ministries need greater attention? Where is the church heading? 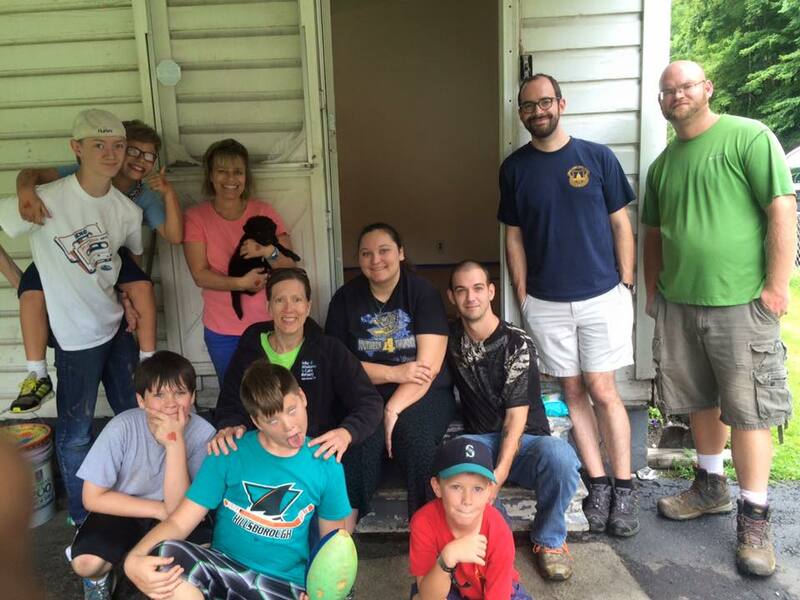 I asked and asked and was surprised to discover that our collective vision did not extend past next Sunday; so long as our doors stayed open, and we had people sitting in the pews, we would be content. 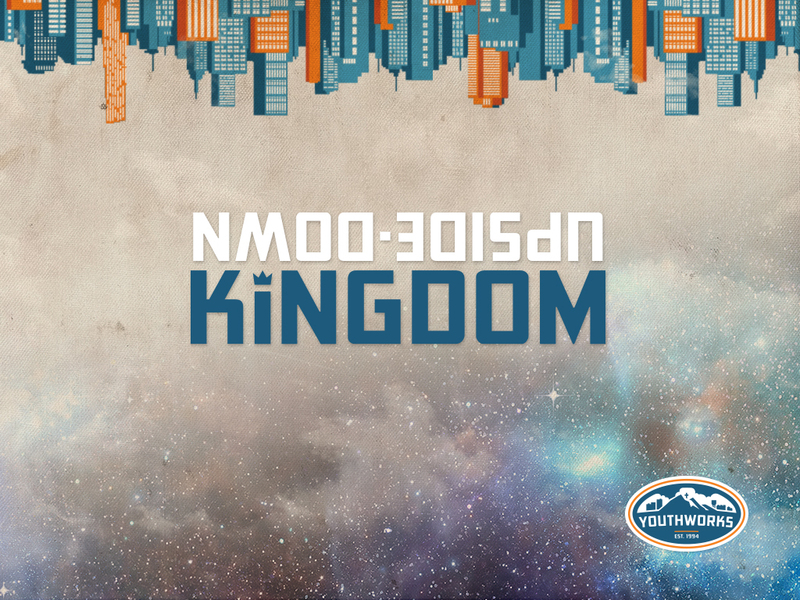 For two years this limited vision permeated everything we did as a church and we have been far more concerned with maintenance than mission. Yet at the same time our church has grown in numbers and faithfulness as we continue to discern the will of God for our lives and for the church. In light of this, I grew so accustomed to the status quo, and the consistent growth, that I neglected to start looking toward the future until I heard a sobering statistic at Annual Conference this year: The average person in a United Methodist Church invites someone to worship once every 38 years. In the wake of discovering this frightening statistic, I felt convicted by the Lord so start looking further than next Sunday and create goals for our church. 1) We grow in faithfulness by giving time every day to God in prayer. 2) We grow in attendance by inviting people to discover the love of God. 3) We grow in stability by offering our gifts and talents to the Lord. If the mission of the church is to form disciples of Jesus Christ for the transformation of the world, then it is our responsibility to pray faithfully, invite lovingly, and give generously. We are called to be Christ’s body for the world and are equipped by the Lord to do so. Our first goal is to grow through prayer so that we might be transformed into better disciples. By giving time to God every day in prayer we will start to see how true the psalmist really was: “The Lord will give what is good, and our land will yield its increase.” The Lord will grow our faithfulness, attendance, and stability so long as we are willing to play a part in this mission as well. As we prepare to take steps into a new week, let us take time to reflect on the church that God has so graciously given to us. How can we be better stewards of this place? 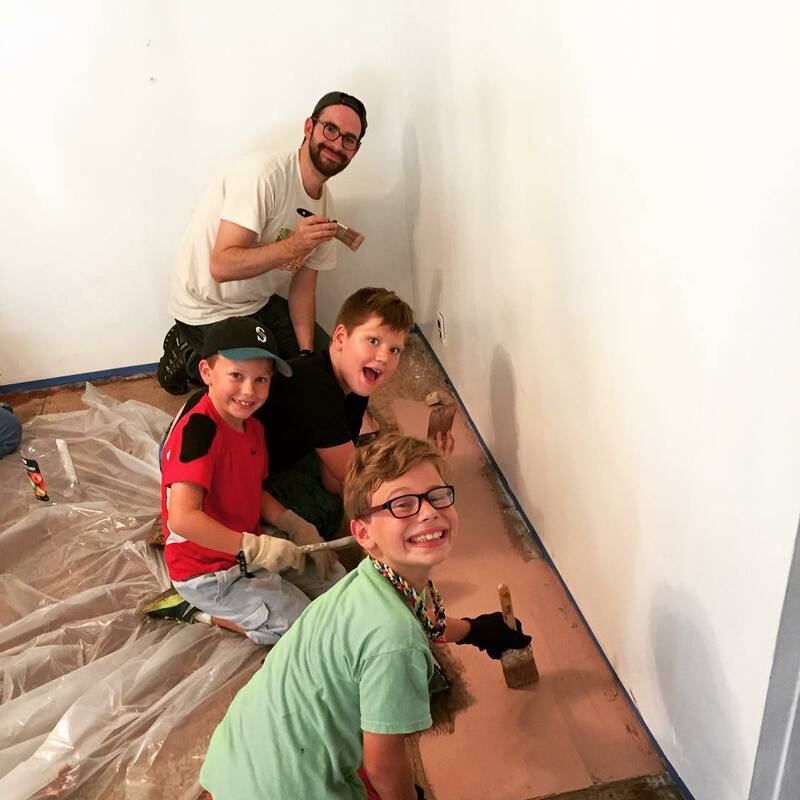 Where is God calling us to serve within the community? What goals do we have for the church? I appeal to you therefore, brothers and sisters, by the mercies of God, to present your bodies as a living sacrifice, holy and acceptable to God, which is your spiritual worship. Do not be conformed to this world, but be transformed by the renewing of your minds, so that you may discern what is the will of God – what is good and acceptable and perfect. For by the grace given to me I say to everyone among you not to think of yourselves more highly than you ought to think, but to think with sober judgment, each according to the measure of faith that God has assigned. For as in one body we have many members, and not all the members have the same function, so we, who are many, are one body in Christ, and individually we are members of one another. We have gifts that differ according to the grace given to us: prophecy, in proportion to faith; ministry, in ministering; the teacher, in teaching; the exhorted, in exhortation; the giver, in generosity; the leader, in diligence; the compassionate, in cheerfulness. Years ago there was a young man, fresh out of seminary, ready to begin serving his very first church. He had taken all the appropriate classes in school, learned from the right professors, and had been prayed over by the bishop. With eager anticipation he had packed his bags and headed out to begin his first appointment to John Wesley UMC somewhere in Georgia. The young man was so anxious and filled with joy that he could hardly contain himself when he arrived that first day, so before he unpacked any of his belongings, he drove by the new church. He got in the car and went to the listed address, but he saw no church. When he turned around he drove to the address again and realized why he had missed it the first time; there was one of the oldest and most decrepit looking trees he had ever seen stretching all over the ground with roots exposed and the sign (plus the building) were mostly covered by its long branches. 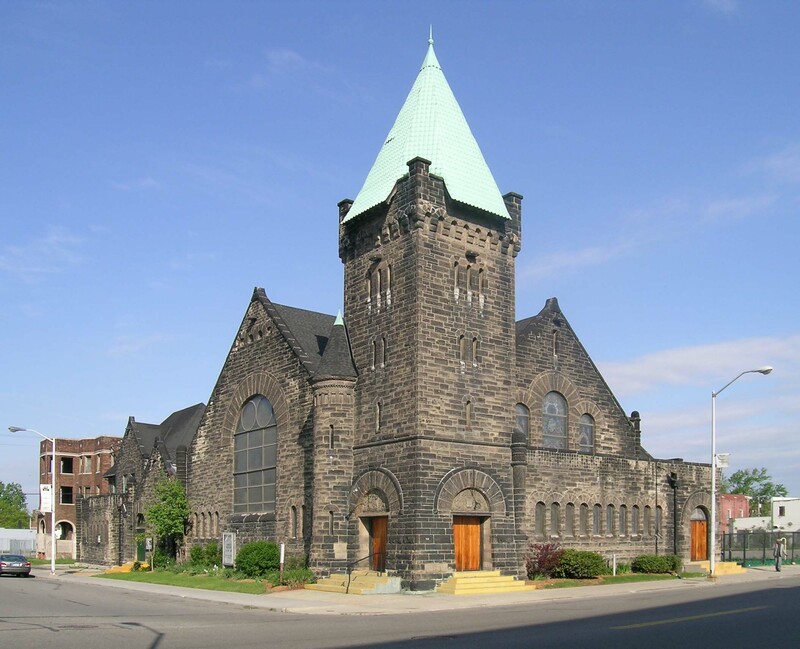 The young pastor sat in his car looking at the tree and he couldn’t believe a church would let something so ugly block the beauty of the building. Before he knew it, he had gone back to the parsonage to unpack his chainsaw, and promptly cut down the tree that was blocking the church. With sweat on his brow, he took a step back and admired his work: the sign and building were now completely visible from the road, and he thought that perhaps a few extra people might be in church on Sunday morning. You see, the church was named John Wesley UMC for a reason. John Wesley himself had planted that tree more than 200 years ago while he was in that community. The gathered people decided to build a church right where the tree had been planted in honor of the man who started a revolution, and that young pastor had chopped it down. Stories are remarkably important. They contain and convey everything about who we were, who we are, and who we can be. Stories held within a community help to shape the ways we interact with one another, and how we obtain the collective memories of the past. We tell stories to make people laugh, to teach lessons, and remember the important elements of life. Today, we live in a world of competing narratives. Every television station, and every website, are vying for out allegiance and attention. We are consistently bombarded with information attempting to tell us who we are, what we need, and where we are going. We live during a time when more people recognize the golden arches of McDonald’s than they do the cross of Jesus Christ. We live during a time when people spend more time arguing about where they can see the best fireworks on the Fourth of July than they worry about children in their community who have no food to eat. We live during a time when we would rather store up our treasures on earth, than give our gifts to the church. Right now the world is telling us what is important, and our ears have a difficult time discerning between the world, and the Lord. The apostle Paul wrote about the world to the church in Rome and convicted their hearts: Do not be conformed to this world, but be transformed by the renewing of your minds. Do not listen to the people who try to define you and limit your abilities. Do not diminish God’s ability to radically transform your life and the world around you. Read your bibles. 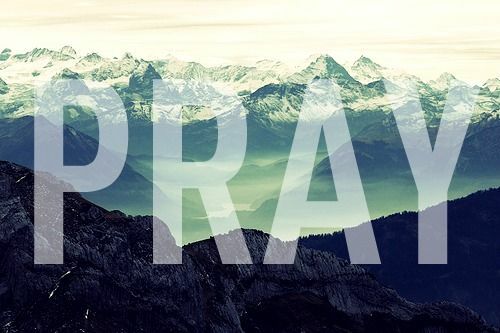 Pray your prayers. Listen to the wisdom of the past. Open your eyes to the beauty of the future. Do not think you are better than anyone else, but give God thanks for placing you within your community. We are all different and this is worth celebrating! God’s has blessed each of us with unique gifts worthy of use for the kingdom. Some are made for teaching, or preaching, others have the gift of prayer and presence, others have been blessed with financial resources, and still yet others have been given the gift of patience in discernment. Whatever your gift, use it for the kingdom so that we might bear fruit in the world. 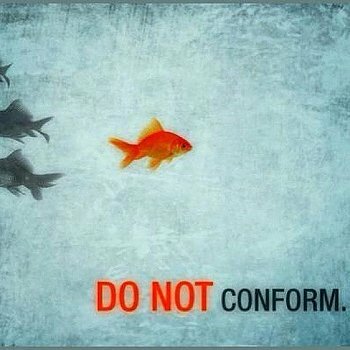 Do not conform to this world but be transformed by the renewing of your minds. When we gather together for worship we are retelling God’s great story so that our lives can be transformed. 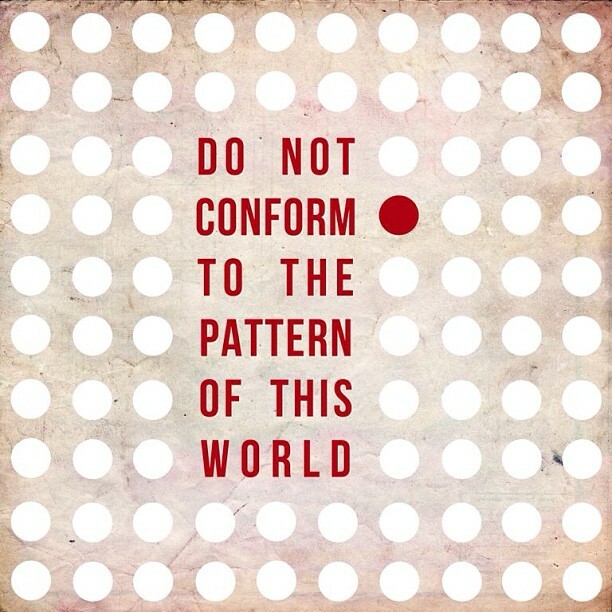 When we are in this place we reject conformity to the world’s expectations. When we proclaim the Word of God, our minds are being renewed again and again. A few weekends ago thousands of Methodists throughout Virginia gathered together in Roanoke to discern God’s will for our denomination. We prayed over pertinent matters and voted accordingly, we honored those who had gone on to glory over the last year, and we ordained new pastors for the work of ministry. Annual Conference is a time of celebration, but it also a time of facts. According to the ways of the world, the church is floundering. People are no longer regularly attending worship, tithing is starting to disappear, and many church buildings are being closed each year. Christianity has lost its status in the political arena, we are becoming biblically illiterate, and young people are largely absent from worship. The average person in a United Methodist Church invites someone to worship once every 38 years. The world tells us that we are nearly defeated. That we’ve got to start pulling out all the stops to get people into our buildings. We have to be willing to do whatever it takes to get people sitting in the pews. We need to cut down the trees that are blocking the church building from the street. We need to abandon the past in order to embrace the future. I say thanks be to God that we don’t have to conform to the ways of the world but get to be transformed by the renewing of our minds! While others might shrink and wail in fear regarding those types of statistics, imagine what would happen if we embraced them and saw them as an opportunity for transformation? How would our church start to look if we began creating our own vitality through a life-giving invitation to discover the Lord in community? What would it take to embrace the trees and traditions of church to reclaim the story that has already changed the world? For those of you with remarkably gifted memories, you will no doubt have noticed that everything we have done in worship today, from the opening greeting to the selection of hymns, from the scripture reading to the words of this sermon, is an almost exact replica of what we did two years ago during my first Sunday at St. John’s. It brings me nothing but joy to look out from this pulpit and to see how much we have changed in our short time together. Our worship attendance has grown. Our weekly offering has grown. Our commitment to spiritual disciplines has grown. 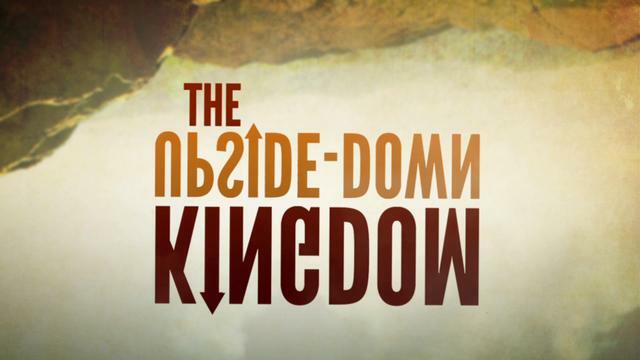 Our willingness to sacrifice for God’s kingdom has grown. Our faith and trust in the Lord has grown. St. John’s, through its prayers and practices, has begun to positively affect those kinds of statistics that frighten the world. We can do more because the words of worship today are just as relevant as they were two years ago. With a continued commitment to prayer our church can grow in its vitality. With a consistent connection to the Word our church can grow in its faith. With a calm composure compared to the world our church can grow in effectiveness. When we retell the story we are transformed by the renewing of our minds. We don’t have worship just to catch up with our friends from the community, checking in on the events of life. Church isn’t just about making sure that we give one hour a week to God. Church is about transformation in our lives and in the lives of others. When was the last time we invited someone to church? Has it been 38 years? And, as someone put it this week, if we don’t have anyone to invite to church, we are not spending time with the right people. When was the last time we prayed about the money we give to church? Have we grown content with the same offering each week, or do we really recognize how much God has given to us, and how much more we can give back to God? When was last time we felt transformed by the renewing of our minds? Are we so consumed by the ways of the world that we no longer trust the Lord? The stories of scripture, from Genesis to Revelation, help to shape the way we live. They are more than just facts and histories, they are the living Word of God’s actions with God’s people. The stories speak greater truths than any news program or TV bulletin, they convey more than any tweet could ever contain, and they provide transformation for the disciples of Jesus Christ. If we neglect to embrace the stories for the power they contain, then we are cutting down the great trees of tradition in our midst. 1) We grow in faithfulness by giving time everyday to God in prayer. This does not mean that we have to start every morning with our hands twisted together and our heads bowed low, but that at least once a day we take a moment to thank God for our blessings. We can do it before a meal, or in our cars on our way to work. 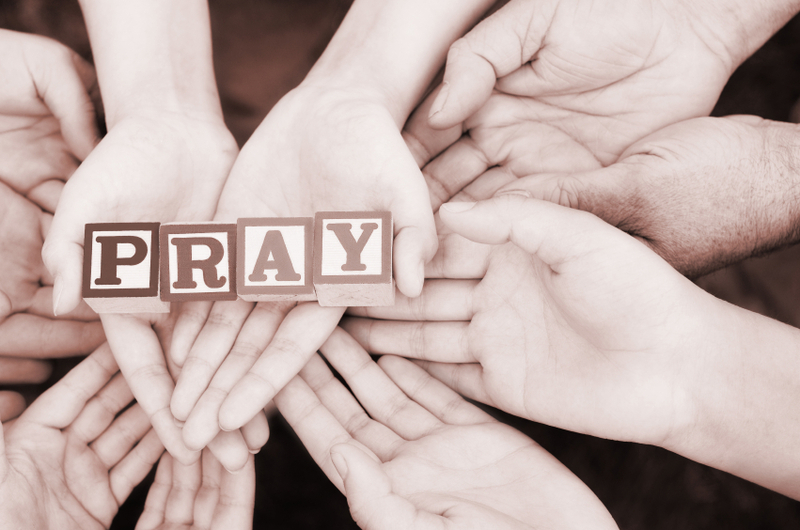 How we pray is not as important as praying in the first place. So, we grow in faithfulness by giving time everyday to God in prayer. 2) We grow in attendance by inviting people to discover the love of God. This does not mean that we need to start knocking on doors and trying to convince people to come to St. John’s, but that we open our eyes to what God has done for us and embrace a culture of sharing that kind of love with others. We can do it by inviting our friends to try worship out with us on Sunday morning, or talking with them about what God has shared with us through this place. So, we grow in attendance by inviting people to discover the love of God. 3) We grow in stability by offering our gifts and talents to the Lord. This does not mean that we need to start a capital campaign or initiate a pledge drive, but that we see our lives as gifts and give back so that others can be blessed as well. 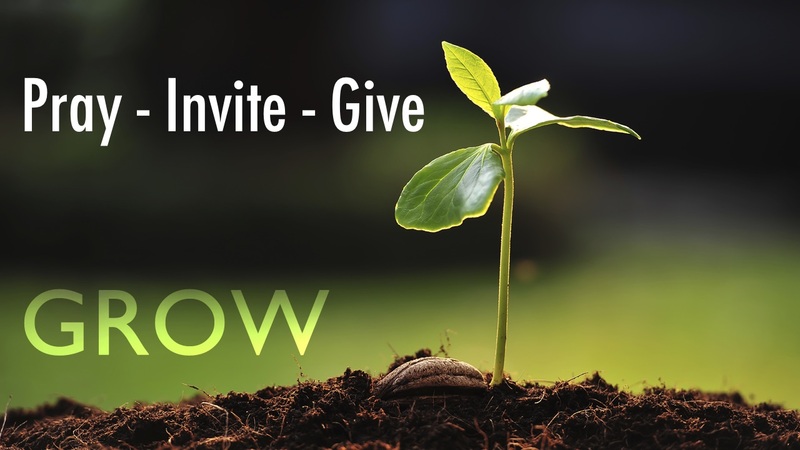 We can do it by giving more when the offering plate comes around on Sunday morning, or by offering some of our God given talents for the betterment of this church in the kingdom. So, we grow in stability by offering our gifts and talents to the Lord. According to the ways of the world the church is in a difficult place. We are told that we don’t have enough time to pray every day, we are reminded of the discomfort that comes with trying to invite others to worship, and we are bombarded with the fear about giving money and gifts back to God. But I’m not worried about any of that, and I’m not worried about anything because my hope is not in me, my hope is not in the ways of the world, but my hope is built on nothing less than Jesus Christ. Christ is the solid rock upon which this church stands, comforting, nurturing, and sustaining us in all we do. We can believe in the future of our church, we can share the story of the Lord, we can pray with every fiber of our being, we can invite others to experience God’s love, and we can give with glad and generous hearts because our faith is in almighty God! The Lord is reminding us today, and everyday, “Do not be conformed to this world, but be transformed by the renewing of your minds.” Amen.